Visualization is an excellent tool for making complex physical problems understandable. 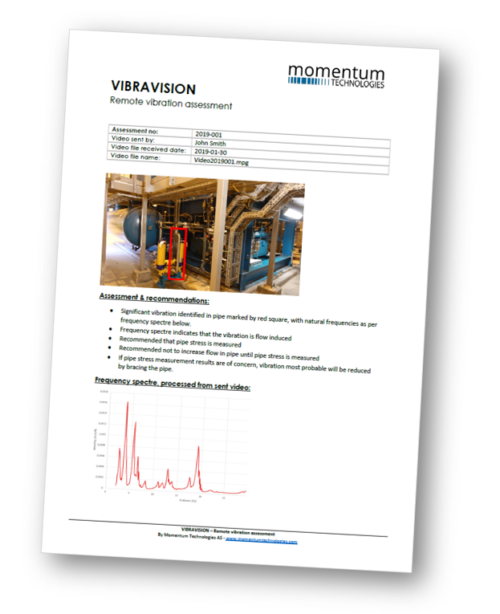 Momentum provides a complete spectre of visual vibration control services; VIBRAVISION. Vibration problems are often complex to understand. Different forces and mechanisms interact with each other and results in invisible, but harmful motions. Filming these micro-motions with high-speed camera and amplifying them so that we can see them, helps us to understand and control vibration better and quicker. 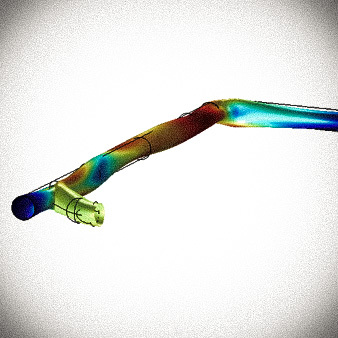 Visualization do also make our communication of the vibration problem with the client easier. We can use the reinforced videos to explain how the vibration is, and why we have concluced as we do in our assessment. *) This is a time limited introduction offer. Please note that the extent to this assessment is dependent of sharpness, light conditions and the frame rate of the video. The remote vibration assessment is to be regarded as a basic guidance only, if there is vibration and what might be the root cause. It shall not be used for assessing vibration induced fatigue failure. SEND US YOUR VIDEO NOW! 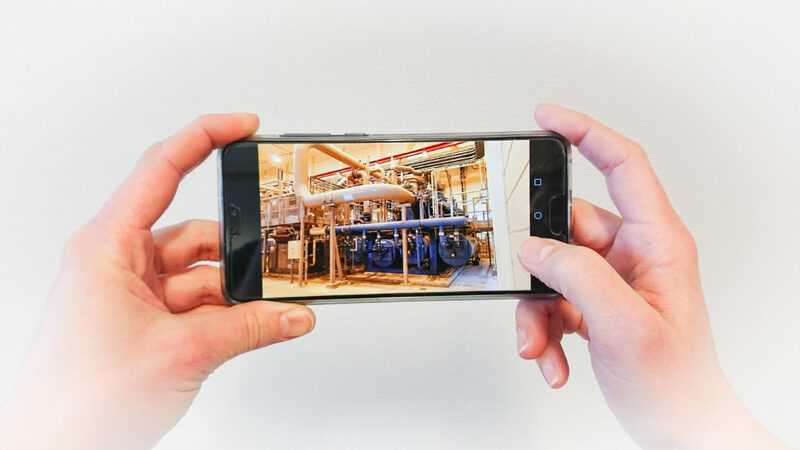 VIBRAVISION enables us to visually compare different vibration mitigating solutions virtually. A method that makes the way to find the best solution shorter, as well as communicate and explain advantages and disadvantages of different solutions to the client more straigth forward. 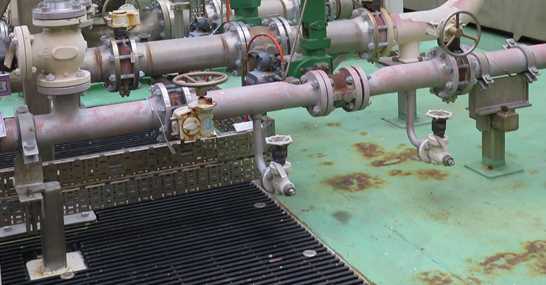 Do you want to learn more how we can help you with vibration control?